Economic education on a global scale. 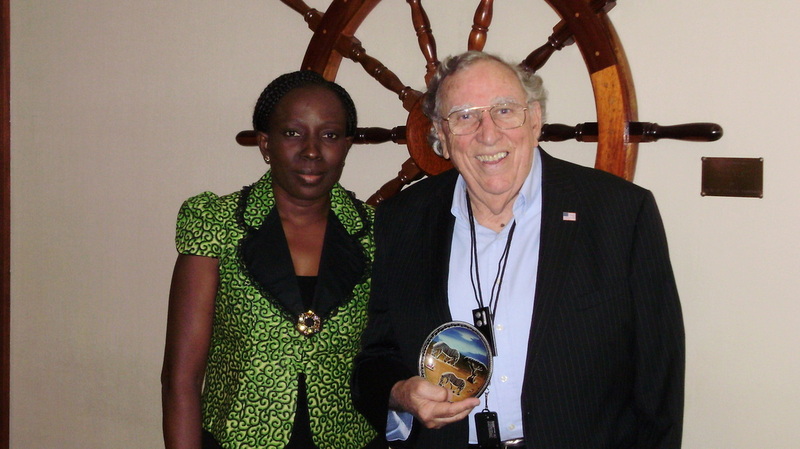 Dr. Gus Stavros, Founder of the Stavros Institute's "Enterprise Village and Finance Park" and World Partnerships Trustee, with Omowale Ogunrinde, IVLP Gold Star (2011) and Founder of the Foundation for Skills Development in Lagos, Nigeria. Aref Husseini, IVLP Gold Star (2014), Founder of Al-Nayzak Science and Technology Center (West Bank and Gaza), visits Enterprise Village with Pinellas Education Foundation President Terry Boehm and Foundation Board members. The vision of World Partnerships Trustee Dr. Gus Stavros created Enterprise Village and Finance Park, paradigms for youth economic education and financial literacy. Gus inspired hundreds of our IVLP visitors over the years to take the vision of Enterprise Village back to their communities. Three years ago, Gus challenged World Partnerships to bring the global experience to the young entrepreneurs of Enterprise Village. On October 7, 2014, that big dream became reality. 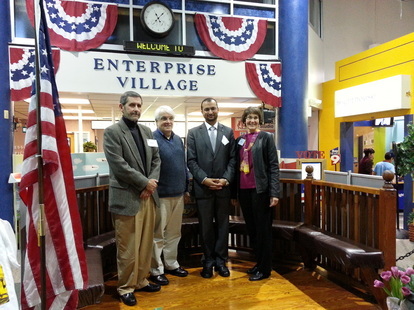 The “World Partnerships Live!” storefront at Enterprise Village opened on Tuesday, October 7. 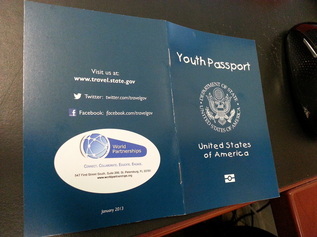 That day, the first 125 Fifth Grade students from Madeira Beach Fundamental received a World Partnerships “Passport” as their new identification badge, with a World Partnerships logo as the backdrop for their ID photo. By the end of the school year, nearly 13,000 students will begin their journey to learn about global business, international trade, geography, history, culture and travel through World Partnerships Live! 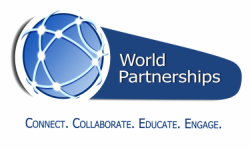 Click on these links for more about World Partnerships Live! and its partners! World Partnerships Live! @Enterprise Village!